The blood of the 2018 NBA Draft lottery's corpse is still warm, and most of you will still be focused on mock drafts and who the Sixers might select at No. 10 for the foreseeable future. Fair enough — it's a lot more fun to debate and dream about endless opportunities than it is to have a definitive answer to a question that won't be addressed until late June. It's fair to wonder, however, whether the Sixers will end up using either one of their selections (No. 10 and No. 26) to draft players that are going to contribute to the team next year. After Brett Brown came out during his exit interview and proclaimed a need for a big-time free agent, Sixers GM Bryan Colangelo walked back the words of his head coach in the availability that followed. "I'm going to agree with the sentiment that we need to add something to get better," Colangelo said during exit interviews. "But with respect to adding, I'm going to say talent, not free agent, because talent comes in many forms. Talent comes in possible trades, possible free agency, and both options loom with cap space and flexibility. If the right deal comes along, we'll certainly pursue it." In other words, to borrow from the illustrious Cosmo Kramer, giddy up. That sets the stage for one of the biggest summers in the history of the Sixers' franchise, one which will have far-reaching consequences for Philadelphia in the years to come. So before the Sixers reach free agency — and even before they start their draft workout process — let's take a look at the options in front of them regarding their top draft selection. All along, the idea behind the drastic rebuild in Philadelphia was to acquire star-level players capable of moving the franchise forward. The Sixers have those in Joel Embiid and Ben Simmons, and everything from here on out should be done with the idea of building around your tentpole players, particularly the first of those two guys. Before Embiid and Simmons arrived on the scene, there was a much clearer case to be made that draft picks should be spent taking swings for the fences. It's the sort of mindset that guaranteed Embiid's arrival in the first place — the Sixers did not bank on Nerlens Noel being the franchise savior, and that was a good thing because this team is nowhere close to competing for anything today without the franchise big man at the heart of things. The chase of star-level upside is no less real now than it was then, but the stakes are a bit different with Embiid and Simmons on hand. If you burn picks on players who don't cut the mustard while in rebuilding mode, as an organization you will likely have more opportunities to find the pillars you're in search of, assuming you have the right amount of patience. A team with a foundation in place does not have such a luxury. Because the Sixers are already 50+ wins good, they have effectively played themselves out of lottery pick territory, barring unforeseen disaster striking. This is a good thing, but now you are operating under a very different set of expectations. Fail to identify the right players in the draft and free agency, and you risk angering the stars who have propelled you here, as we have seen play out time and time again in recent NBA history. So rather than trying to weigh all the various factors that go into the draft process, isn't the safer route to package together a bunch of maybes for a readymade star? The hope when you obtain a selection like the No. 10 pick is that the player you select with it can become a member of your core. But that's a lot easier said than done, which is part of the reason you go out and obtain multiple draft picks in the first place, both to spread the odds around to several selections and in the hope of consolidating them to acquire a sure thing. 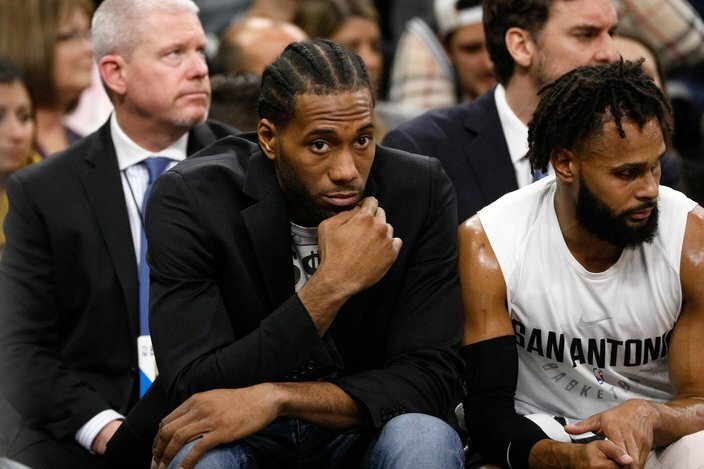 Maybe you're of the belief that the big names on the trade market this summer aren't as sure as they should be, with Kawhi Leonard's health (and to an extent, his mental state) a bit of an open question. Given his level of production over the span of his career, however, that's a question you're okay living with, in comparison to one like, "Will this draftee ever be good enough to be a high-level player in the playoffs?" Critics of Philadelphia's rebuild always like to point out that you can find talent anywhere in the draft, and that's technically true, but the hit rate is considerably higher the higher you draft. Even a mid-lotto selection like No. 10 is rife with uncertainty; for every CJ McCollum and Paul George, there's a Jimmer Fredette or Spencer Hawes. While Embiid's dominant play at a young age has been sensational, it is also a rare exception within the NBA power structure. The vast majority of young players need lots of time and development before they can be so impactful at the pro level. And this brings us for another factor weighing down on Philadelphia: when it comes to Embiid specifically, how long can the Sixers count on him to be a healthy and productive basketball player? Just as there is an opportunity cost to packaging multiple picks and/or players to go out and get a current star, there is one for standing pat and letting the chips fall where they may. Perhaps Embiid only has a few healthy seasons in him, and by the time the draftees you add to the mix are ready to come good, the oft-injured center could be out of rope. That's a worst-case scenario the Sixers can and should be prepared for. Add on to all this that this summer is ripe for opportunity on the trade market. The relationship between Leonard and the Spurs is obviously at an all-time low, but other players could be available for the right price. Portland's CJ McCollum, as one example, would be a good combination of high-end talent and fit with Philadelphia's best players. The Blazers also happen to be at an inflection point for the franchise — after being vaporized by New Orleans in round one of the playoffs, they will rightfully question the long-term viability of the Damian Lillard-McCollum partnership. Snag that third piece in any form or fashion, and suddenly you're an even more attractive destination for other players in the future. Cap space will become an issue quicker, sure, but when guys want to team up with other stars, general managers tend to find a way to make it happen. Didn't we just see how trading multiple picks and/or players for a single player could go wrong for Philadelphia? 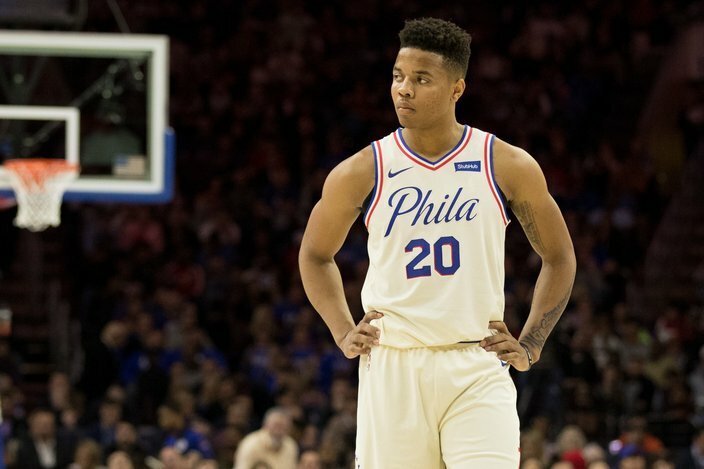 Maybe the Markelle Fultz situation is an edge-case scenario because we certainly haven't seen a whole lot of basketball players forget how to shoot on the verge of their rookie season. We especially haven't seen a player touted as one of the best pull-up shooters in recent memory lose that ability. And while it's fair to say it's different for a 19-year-old to have developmental issues in comparison to stars in their mid-20's, it highlights an uncertainty you will always have to live with when you turn multiple players (or potential players) into one guy. If the move doesn't work out for you, your backup plans are limited and you're left scrambling to figure out another path forward. Those other paths, of course, often involve having to sacrifice capital in the form of overpayments in free agency or overpayments on the trade market. With the ceiling of the salary cap looming, the Sixers are effectively two summers away from being (mostly) locked into the team they'll have to compete with the rest of the league. Go out and make a trade this summer and you're pretty firmly committed to that group for the foreseeable future, and you better be right about the intel you're getting on different trade targets. Keeping the 10th pick (and No. 26, for that matter) gives you a bit of time to figure things out, while also offering a "break glass in case of emergency" path if you decide you want to go in a different direction. Assuming you don't whiff on your picks altogether, teams will retain an interest in young, cost-controlled players for years, and trades for established players will almost always involve the sort of players you're hoping to find at No. 10. If you consolidate your assets for Leonard and his calf injury turns out to be a death knell for his career, the number of outs you have left is limited. Are your first-round picks in the 20's going to net a future draftee of value or anything of usefulness in a trade? Maybe, but it's certainly far from a lock. Bryan Colangelo already had two first round picks in the 20's during his first draft on the job in 2016 — Timothe Luwawu-Cabarrot has been fairly poor in extended minutes so far, and Furkan Korkmaz is still not physically up to the task of contributing yet. That's not really a criticism of him, because the hit rate on picks in that range is much lower than people seem to think. But good teams and especially great teams need to have young and developing talent supplementing their best players, lest they eventually run into a significant wall as the salary cap problems pile up. Outside of your team being the Golden State Warriors — who were aided for years by the stroke of good fortune that was Curry's contract situation — most competing teams are in desperate need of good, cost-controlled players. To that last point — the Sixers need to worry about actually becoming a great team first before they can debate too hard about the sustainability of the project. They do not have the talent they need to really run with the best teams yet, which has been made clear by how they bowed out of the playoffs in Round 2. Frankly, all of this depends on who you're getting in return for said pick(s) and just how much you have to give up in order to bring said target in. 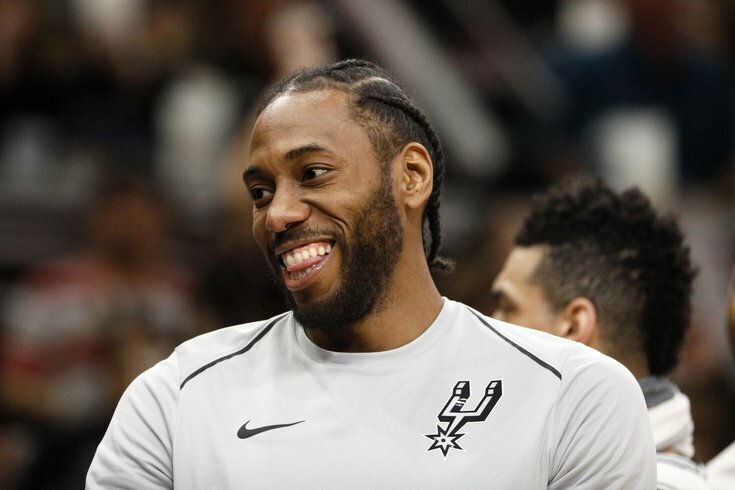 If a player like Leonard — who is a top-five player at worst when healthy — becomes available at a discount price, you do whatever you can to add him to your team and figure things out later. The ceiling on this Sixers team would rise at breakneck speed with an in-his-prime, ready-to-go star joining Embiid and Simmons, particularly one that can dominate a game on both sides of the floor. Even a move for a guy like McCollum totally changes the complexion of the Sixers. Adding a player who can create his own shot, shoot at a high level on or off the ball, and take some responsibility out of the hands of Simmons would be a godsend for Philadelphia. It's what they drafted Fultz to be, but Fultz's erratic rookie season has called into question how much the team can count on his development moving forward. Many rookies have a rough first go at it — this is something else entirely. As long as you're not paying through the teeth to make it happen and completely vaporizing your depth, a trade for a star seems like a better use of this year's draft asset than selecting at 10 and 26, provided you can find someone interested in making a deal with you. Getting a LeBron James type player in free agency would be nice, but a trade guarantees a big-time player is coming to Philly, instead of forcing you to hold your breath and hope someone joins you. And that's the tricky part. Regardless of the discord between Leonard and the Spurs, or the amount of pressure on a team like the Blazers to change things up, you still need to convince them that they should be the ones taking on unsure talent instead of trying to improve around sure things. That's easier said than done.